I saw a lady on a cooking show make Paella one time years ago. It looked so good! I have wanted to make it every since then but thought it might be too complicated. And I knew I would have to make it sometime when we had a crowd because it made enough food to feed a small army. My day finally came last weekend! 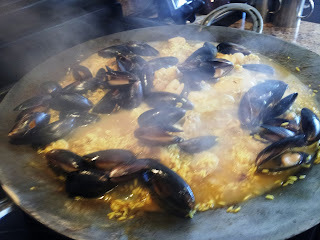 We had some of our dear neighbor friends coming over to eat lunch with us, and I knew we needed to have Paella. On the hunt at my little Texas Walmart (seriously that is the extent of our grocery choices) I was disheartened that there was NO Spanish chorizo or Spanish rice! The saffron was out of the question at $17 too. So I had to make due with what I could find. And you know what? It was pretty darn tasty and the substitutes that I found made it actually pretty darn cheap and lower calorie too! ﻿Heat a large flat pan over med-high heat with 1-2 tbsp olive oil, add chicken thighs. Cook chicken about 7 minutes then flip. Cook another 5 minutes then add the rice. Sautee with chicken about 2 minutes until rice is translucent. Add 1 can of chicken broth. Turn heat to medium-low and simmer 20 minutes, adding the next can of chicken broth and water as needed. Once the rice is tender and the liquid is absorbed, add the shrimp and mussels. The mussels should open, discard any unopened muscles. Cook until shrimp is no longer translucent. 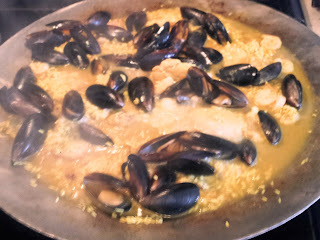 The yellow rice soaking up all that mussel liquid- YUM! I served it to my guests with toasted buttery french bread. Steamed broccoli would be a nice accompaniment as well. Gah, I am so sorry that I have been away the past week! Loooong story short, I got a lump on my jaw... had sugery. The sugery removed a wisdom tooth which was not the culprit. We still are not sure what is the problem! The surgeon took a biopsy and we are waiting to hear back. Scary! But I really think my salivary gland is infected. It is getting better. But still a knot there! Anyway... on to my thoughts! This has taken me a long time to honestly wrap my mind around. I think that all of us are a little scared to eat less, to feel hungry. I am not sure where that fear comes from, I am sure it is deep rooted and innate somewhat, but many of us have had this fear exaggerated from the musings of the fitness mafia. What if I told you that it is NOT going to harm you to eat less? What if I told you that is NOT going to harm you to skip a meal (or two even!)? What if I told you that is OKAY to feel hunger? You see if you have fat to lose, you need to eat less than you are metabolizing! How much less should you eat? 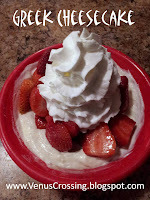 See my post on controlling your calories. If you are eating less than you are metabolizing, then you are going to feel hunger! That is you body signaling you that it is burning fat. Is that not the point?! On thing that really helped me was reframe what hunger means. It no longer means that I need to eat, ASAP!! It means, okay, my body is burning fat. And if I am cutting down, I am saying YES, yes! in my head! Epecially if I know that I am in a caloric deficit that day, I really honestly know that my body is making changes. Woot! Whether I am maintaining or cutting down, I really need to examine the "hunger" further before I just stuff food down my pie hole. The "hunger" can actually be a number of things besides the need to eat. Am I thirsty? I try to drink some water before I do anything else, thirst almost always disguises itself as hunger to me. Am I feeling an emotion? Sometimes, I am lonely, or sad, or mad, or stressed... you name the emotion, I have probably stuffed it down at some point with food. Usually just calling or texting someone, or writing it out will help me sort out what I am feeling. My usual M.O. is to put it off for an hour or two. I try and drink a coffee. I have no idea why, but at least half the time, the coffee takes care of it. If the coffee does not work and I have room in the calorie budget, I will have the treat. BUT I will plan whatever it was that I was really craving into my next day or two. The reason that I do this is that I learned the hard way that I will binge on whatever if I do not listen to my body. 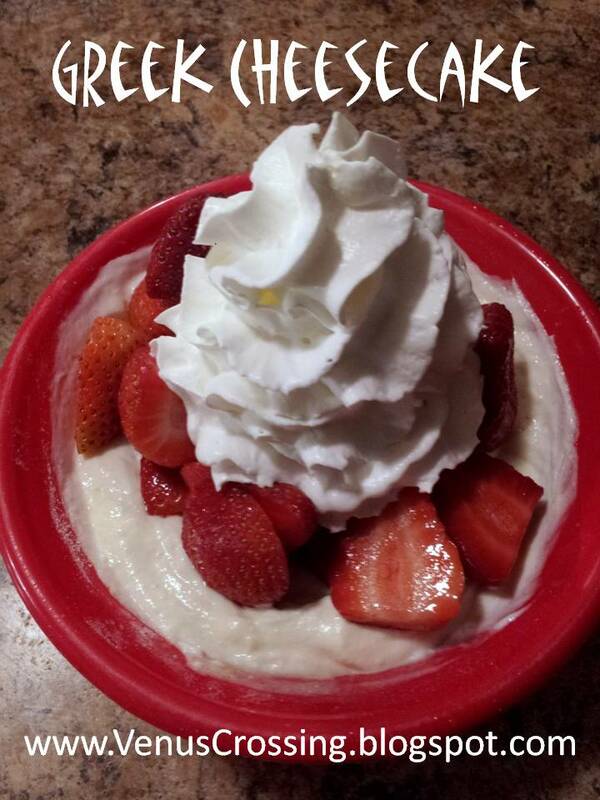 If you plan it in and it fits within your allotted calories, then it is FINE! Get over your good food/bad food guilt. That is just a disaster waiting to happen. Here is my final tip for treats for the day- portion them out and put them into the freezer. This forces you to unthaw the treat, even if it is for a few seconds. You will have to think about it. The other benefit is that it keeps the treat off the counter, less chance of a random treat attack! And freezing things like cookies, cakes, brownies, and baked goods actually keeps them fresher, longer! Anyway, learn to understand your hunger as it can mean a variety of things. It does not mean fear or panic. In fact, when you are cutting down, it can be welcomed and mean that you are making progress. Reframing it may take some time, but will help!